New Zealand is now one of the most unaffordable countries in the world to buy a house. I’m sure this didn’t come as shocking news to anyone trying to buy in New Zealand’s main overpriced centres. No surprise either that the study acknowledged the country’s unhappiness with this state of unaffordability. So what or who is to blame? Planning and planners have been largely used as scapegoats for what is now seen as a market failure. But planners in urban management are not equal to politicians in terms of authority and influence on the process of decision-making. The fault actually lies with neoliberal ideology forced on planners all around the world and this agenda was set by powerful global institutions – the World Bank, OECD, IMF, governments and politicians – not by planners! Neoliberalism, which champions economic incentives and free markets over government controls, has shaped and framed society and reduced planning to a tool to sustain capital accumulation in urban areas, particularly in the real estate market. This has meant that, for the last 40 years, focus has been on planning that attracts financial capital and highly qualified people into big cities with high quality design to maintain or increase the value of land and allocation of land for the highest return. It created high expectation in the housing market and people rushed to so-called successful cities to take part in this flourishing and profitable market. These cities made huge contributions to their countries’ GDP and, with their focus on urban design and beautification, were marketed and sold at the highest prices in the global market. This fashion was considered an indicator of high economic growth and successful economy. But while all this economic growth was focused on urban planning for higher income groups, planning for middle and lower income groups was ignored, and then forgotten. The neoliberal idea that a free market automatically fixes unbalances and provides wellbeing for everyone (the trickle-down effect) has proved a fallacy. Setting markets free creates inequality and, in this case, middle to low income groups were not considered with plans and policies that would lead to investment and capital that would provide affordable housing for them. New Zealand economist Shamubeel Eaqub is right when he says we did not provide appropriate housing for the existing demand in the market. But isn’t it all about balance between demand and supply? No! The simplistic lesson of basic economics – that an increase in demand creates higher prices in the market – cannot be used to explain everything. This law cannot cover all the variables of unaffordability – politics, power and the mode of economy in urban areas must also be considered. Neither is unaffordability down to planning or complex zoning regulation. It is the dominant ideology – neoliberalism – that has made housing a commodity with an expectation of high return on investment in the housing and land markets. 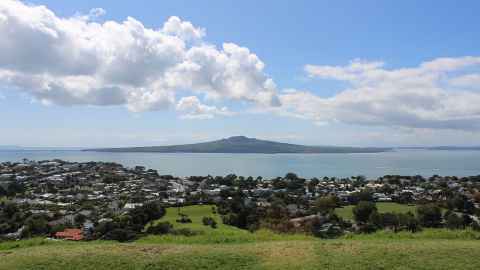 There are a couple of examples of new urban developments in Auckland, for example Hobsonville, where there are different types of housing – apartment and high density buildings such as town houses – but still prices are high and not affordable. Questions are also raised about the effectiveness of inclusive zoning and public-private partnerships which are supposed to buy and sell land and property at market price with income from these speculative activities used to provide infrastructure and affordable housing. However, this is neoliberal planning instead of planning for different income groups and providing a productive economy and job opportunities. The problem is not with inclusionary zoning but with the financial logic of neoliberalism that structures the mechanism. Demographia suggests land release and intensification will ease the Auckland market. But the main problem for both these suggestions is lack of infrastructure – policy-makers and governments did not plan for the current Auckland population. The city was advertised to attract capital without enough infrastructure. Providing necessary infrastructure needs time, as well as planning and investment. And like affordable housing, infrastructure is not profitable for the private sector. It needs government intervention and planning. Land release also fails in terms of affordable housing because newly released land in suburban areas will be priced to compare with previously developed areas. And that raises the question: Is anyone happy to make housing in Auckland affordable through the falling value of their own home? Probably not. So if none of these remedies will actually work – what is the answer to affordability? Well first off, going beyond neoliberal principles and the reductionist logic of the market may help. Even adherents of neoliberalism, such as US political scientist Francis Fukuyama, are admitting that neoliberalism has failed to achieve its initial promises. In 2016 Nobel prize-winning economist Joseph Stiglitz, in an interview with Business Insider, said “Neoliberalism is dead in both developing and developed countries”. Some of the most senior economists of the International Monetary Fund have questioned neoliberalism and its capacity to help economic growth. They argue that neoliberalism generates considerable inequality that “hurts the level and sustainability of growth”. So my answer is this: instead of relying on the competitiveness of market rationality and the economic law of the free market, we need to go beyond neoliberal principles and reclaim planning for the distribution of wealth socially and spatially, and for providing service and infrastructure. In short, restore the discipline of planning to its historical roots, which balanced economic growth with national and regional interests and, crucially at this time, equity. Dr Elham Bahmanteymouri is a lecturer in urban planning at the University of Auckland. This article reflects the opinion of the author and not the views of the University of Auckland. Used with permission from Newsroom Planning a way out of housing unaffordability published on 7 February 2019.